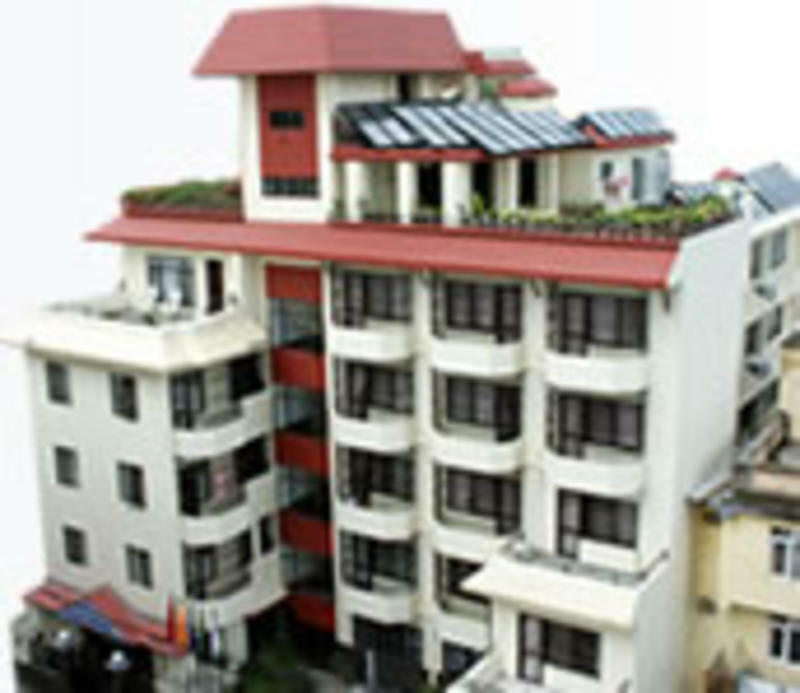 Ideally located in a nice quiet area, the hotel is minutes away from the heart of Kathmandu - Thamel. Thamel is a tourist hotspot and is always bustling with activity: the best pubs, the savory restaurants, travel bureaus, shops are all situated within walking distance! A family-run business, Fuji Hotel is a home away from home. 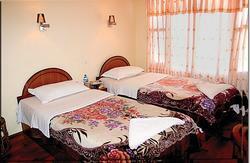 The rooms are clean, spacious and comfortable. Besides having a friendly aura about it, the Fuji Hotel family provides guests quality service with a smile. Our staff is fluent in Japanese as well as in English. Since Fuji Hotel was recently extended and renovated, it boasts 20 new fully air-conditioned rooms in addition to 25 non-airconditioned yet equally comfortable rooms - ranging from standard, deluxe, super-deluxe to our new suites. 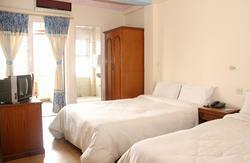 The suites are well-equipped and come with their own modern kitchenettes and personalised room service. Our rooftop garden, with its panoromic view of Kathmandu and the Himalayas (*during viewing season), is an excellent place to unwind with a good book. Upon arrival at the Tribhuwan Internation Airport in Kathmandu; our hotel staff, carrying a placard bearing our Hotel's name [i.e. Fuji Hotel Pvt. 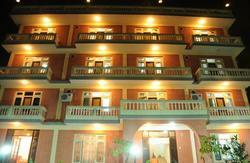 Ltd.], will attend to the guest and transfer them to the Hotel. If necessary, guests may check the staff's Identification Card.